Scouts are set to leave their base at a £15m sports centre next month prompting fresh questions over the future of the Buckmore Park complex in Medway. MP Jonathan Shaw wants to know if owners, the Bridge Wardens Trust, plan to sell the centre - which was paid for with public money - to a private owner. Scouts based at the site for 50 years are in a legal dispute with the trust, which has declined to comment. Now the scouts have said they will leave the site this summer. David Brake, Strood Scouts district commissioner, said the trust had offered the scouts 20 acres of woodland without a building and a small cash settlement to start again. He said it would mean that 50 years' work had "effectively finished". Mr Shaw, Labour MP for Chatham, said he wanted to know if public money would be given back if the community no longer had access to facilities. 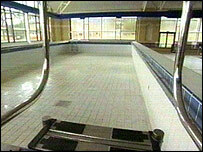 "The question is will the £2m lottery grant go back if the community is not able to access facilities," he said. Faversham and Mid-Kent MP Hugh Robertson, the Conservative spokesman for sport, has said he will be calling on Kent County Council and Medway Council to put pressure on the trust to keep the facilities available for public use. 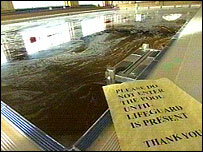 The 210-acre leisure and sports complex, which has more than 50 camp sites, closed to the public without warning in 2003, two years after it opened. However, scouts and guides have continued to use part of the site, which remained open for their use. Other groups and school parties have also benefited. The site had been managed by the Scout Association Buckmore Park Scout Centre Ltd, which went into administration last year. The scouting aspect of the park has since been managed and run by volunteer scout leaders from the Medway District.